If you haven’t already been enjoying Keystone, you’ve been missing out! February brought 50″ of snow over 15 days throughout the month. We’re 100% open, so get on over! Spring Break is the perfect time! 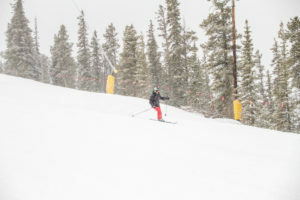 Keystone received 4 inches of new snow in yesterday afternoon’s storm, with more expected to fall tonight. It’s shaping up to be a great weekend! If you are planning on visiting Keystone this weekend, ask a friend if they are doing the same – and carpool! And then, arrive very early or in the afternoon for ease of parking and traffic. With more than 1,800 skiable acres, we have some of the most open terrain in Colorado. 100 percent of beginner terrain, nearly 90 percent of intermediate terrain, and 50 percent of expert terrain is open. A Fresh Start Begins with Parking Smart: This weekend, plan to arrive early and utilize our North Shuttle Lot for the quickest way to the slopes. Seriously, the Purple Route, what we refer to as the “Mountain West Express,” is less than a five minute ride to the slopes. The North Shuttle Lot is free, and can be found on the North side of Hwy 6. Dare to break from the pack, and follow signs for the North Shuttle Lot, or risk waiting more than 45 minutes in a line of cars heading into River Run. Today, we have the most open acreage in Summit County and the third-most in all of Colorado. More than simply bragging rights, this speaks to the great skiing and snowboarding currently available at Keystone! We have an entire playground out there, and you have access to more than 80 open trails across all three peaks, hike-to access in 3 bowls and five areas of progression in our A51 Terrain Park. Today we have opened additional trails on Dercum Mountain and North Peak, as well as the remainder of North and South Bowls. Tomorrow, we are opening the Main Street line in A51. Heading into this weekend, snow is currently in the forecast for Saturday evening. We begin the new year with some of the most open skiable acres in all of Colorado. The resort received more than 3.5 feet of snow in December. Currently, we have nearly 80 open trails across all three peaks, including hike-to access in the Bergman, North and South Bowls, and 100 percent of beginner terrain and more than 80 percent of intermediate terrain open. Easy Street, I-70, Park Lane, The Alley and Two Sled are open in A51. Keystone is open from 8:30 a.m. to 8 p.m. every day through Sunday, Jan. 7. During night ski operations, Keystone offers the longest ski day in all of Colorado. While skiing and snowboarding at Keystone is the main draw, our mountain playground provides guests with a lot of additional winter activities. Free daily Kidtopia activities, unique signature dining outlets, two ice skating rinks, a Nordic center, mountaintop snow tubing, night skiing and the world’s largest snow fort are just some of the additional ways to play at Keystone. New terrain continues to open daily. As of today, we have 99 percent of our beginner terrain and 86 percent of our intermediate terrain open, three open bowls, and skiing and snowboarding across all three peaks. 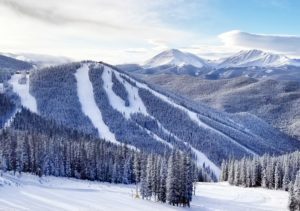 With 1,440 total skiable acres open, Keystone has some of the most open acreage in all of Colorado. This weekend is projected to be sunny with highs in the 30s – it’ll be gorgeous out there. Snowmaking operations continue, with a focus on North Peak and Dercum Mountain. Early season conditions exist on runs that have opened with natural snow. Observe all posted signs and warnings. For the safety of all guests, please keep off closed trails and out of closed areas. As we enter the final weekend of 2017, we have nearly 70 trails open on more than 1,200 skiable acres of terrain – the most available acreage in Summit County and among the most in all of Colorado. After receiving 29 inches of snow in the past week, and with continued snowmaking operations, new terrain has opened daily. The best resource for the most up-to-date information will be our website, www.keystoneresort.com/the-mountain/mountain-conditions/terrain-and-lift-status.aspx. Well, that escalated quickly. Keystone must have been on the nice list. Let’s recap. It snowed – and then it snowed some more. And today, we have more than 1,000 skiable acres on more than 60 open trails as we close out the final days of 2017. In the past 24 hours, we received 10 inches of snow. In the past 48 hours, we received 16 inches of snow. And in the past week, we received more than two feet of snow, or 29 inches. Today, we are opening all of The Outback (with the exception of North and South Bowls) as well as additional terrain on North Peak and Dercum. While Mother Nature provided the natural stuff, the hard work of our mountain operations teams, including snowmaking efforts that provided the foundation, allowed terrain to expand rapidly. 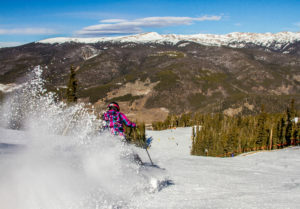 Keystone now has the most open acreage in Summit County, and some of most open terrain in Colorado. We encourage guests to check KeystoneResort.com, the Keystone Blog, and to follow us on social media (Facebook, Twitter, Instagram) for the latest terrain information and updates. It’s the afternoon of Saturday, Dec. 23 and Keystone has received 5 inches of new snow today. And, it’s still falling, with expectations to keep dropping tonight. We reported 3 inches of new snow this morning, and 7 inches in the past 48 hours. Yippee!! Let’s just say, I’d get out and play tomorrow if I were you! Earlier this week, we were able to expand skiing and riding to all 3 peaks. If you were at Keystone today you may have been able to enjoy some afternoon rope drops. Tomorrow, Dec. 24, we will have more than 800 acres and more than 40 trails open. Trails set to open tomorrow: Bachelor, Jackface, Gassy Thompson and Whipsaw on Dercum Mountain; Last Alamo on North Peak; Timberwolf, Bushwacker and Badger on The Outback; the Bergman Bowl. It’s going to be a #BackToSnow and #KeyPow kinda day! Enough great things cannot be said about our mountain operations teams. 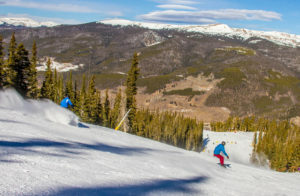 Due to their hard work, and some cooperation from Mother Nature, Keystone will have skiing and snowboarding available on all three peaks prior to Christmas. This Friday, Dec. 22, we will open the intermediate trail Elk Run via the Outback Express chairlift. We will also be opening the intermediate trail Mozart, providing skiing and snowboarding access from Dercum Mountain to the base of North Peak. Additional trails on Dercum, including Silver Spoon and Haywood, will open as well. In A51, Easy Street will open and joins I-70, Park Lane and The Alley, which are currently open. With the holidays nearly upon us, Keystone will have night skiing available every day through Sunday, Jan. 7, 2018. Providing the longest ski day in all of Colorado, we are open from 8:30 a.m. to 8 p.m.
Don’t forget about the signature dining options, on- and off-mountain activities and free daily Kidtopia programs available to complement the skiing and snowboarding experience. The world’s largest snow fort is now open daily and is a must-do while visiting. If you’ll be here during the holidays, be sure to make your dinner and activity reservations now, as these will become unavailable as they fill up fast. 4 inches of new snow greeted us this morning! This weekend, Keystone will offer more than 300 acres of skiable terrain as we continue to open additional trails. We currently have skiing and snowboarding available on two peaks, and we’ve added additional trails every week since Opening Day. On Dercum, the Schoolmarm Family Ski Trail through Last Chance will open along with Flying Dutchman, Paymaster and I-70 in A51. Guests will continue to have access to North Peak via the Outpost Gondola, with Anticipation to the Wayback chairlift opening. Keystone will begin opening at 8:30 a.m. this Saturday, through the remainder of the season. Night Skiing has been added for this Friday and Saturday. Dec. 15 – 9 a.m. to 8 p.m.
Dec. 16, 20-21 – 8:30 a.m. to 8 p.m.
Dec. 17-19 – 8:30 a.m. to 4 p.m.
Labonte’s Smokehouse BBQ will celebrate their grand opening with a Family BBQ Celebration on Friday, Dec. 15 from 10:30 a.m. to 2 p.m. During the summer months, Keystone underwent two capital improvement projects to reinvest in the winter mountain experience. The Montezuma Express Lift, a primary lift on Dercum Mountain that serves popular intermediate and beginner ski terrain, was replaced with a high-speed six-passenger chair. Keystone also expanded Labonte’s Smokehouse BBQ with a new, 190-seat indoor facility for the on-mountain dining venue – perfect for family diners. Located at the base of Keystone’s North Peak, Labonte’s is a popular restaurant serving house smoked meats and barbeque during the ski day. The Kidtopia Spectacular marks Keystone Resort’s first signature event of the winter, featuring a mountaintop celebration and free daily events from Dec. 15-24. Showcasing a variety of activities that make the resort a top winter playground for Colorado families, the Kidtopia Spectacular welcomes the holiday season with the grand opening of the world’s largest snow fort, followed by a week of festive fun. Jump into the action beginning Friday, Dec. 15, in one of the many bounce houses at the free Winter Wonderland Bounce Party inside the Keystone Lodge & Spa from 4:30-7:30 p.m., followed by a special fireworks display at Keystone’s Lakeside Village. On Saturday, Sept. 16, Ripperoo’s Village Parade welcomes a special guest from the North Pole, as Santa Claus and Keystone mascot Ripperoo lead the 4 p.m. parade through River Run Village before boarding the gondola to the top of the resort. From 4:30-7 p.m., guests can enjoy a special lighting ceremony of Keystone’s famed snow fort and a mountaintop fireworks display, as well as free snow tubing, music, hot chocolate, photos with Santa, cookie decorating, meeting Ski Patrol rescue dogs, and much more, with activities taking place both indoors and outdoors. All activities are free, with a season pass, lift ticket or scenic pass needed to access the gondola. A schedule of events can be found at KeystoneResort.com. Happy December, folks! We know what you’re here for, so let’s cut to the chase. Beginning Friday, Dec. 8, Keystone will open North Peak via the Outpost Gondola. Guests will have access to Prospector trail on North Peak, as well as hike-to access for expert skiing and snowboarding in the Bergman Bowl. This will provide more than 200 acres of groomed terrain and expert hike-to bowl skiing on early season conditions. Insider Tip: If you are an intermediate skier or above, take the Outpost Gondola and lap Prospector – you should find a pretty open run with less skiers and riders. Bonus Tip: Labonte’s Smokehouse BBQ will open tomorrow as well, why not stop in and check out the new digs and grab a savory bite while you’re at it. Expert Tip: Are you an expert skier or rider? Do you own ‘rock’ skis or board? Do you like to earn your turns? If you’re confidently answering yes to these Qs, then take the Outpost Gondola to North Peak, and hike into the Bergman Bowl. You’ll find the trailhead behind The Outpost. Are you Steezy? Yeah you are. Well then, The Alley will open in its dedicated location in A51, along with the A51 chairlift – the early season terrain park located at the top of Schoolmarm will be removed. Reminder that access to A51 is via the Peru Express chairlift from the Mountain House base area. Just Getting Started? Nothing wrong with that! You deserve a high-five. On Saturday, Ina’s Way will open, providing beginner skiers and snowboarders with top-to-bottom access to both base areas. Trust Us, School is Definitely Cool. Beginning Saturday, Ski & Ride School lessons will be offered for all ability levels out of both River Run and Mountain House for the duration of the season. Lifts are Not Your Thing? Uphill access will open for the season on Friday, Dec. 8. This season’s policy can be found at KeystoneResort.com under the Mountain Information section. Please be advised that uphill routes are limited during the early season and all uphill users must call the uphill access line at (970) 496-4033 before accessing the mountain. This number provides important information about seasonal restrictions and ski area operations that may impact access. Uphill access is subject to change at any time and guests must observe all posted signage and communications. Dec. 8-9 – 9 a.m. to 8 p.m.
Dec. 10-14 – 9 a.m. to 4 p.m. The skiing and snowboarding conditions have been great! Bluebird days – aka those perfect sun-filled days with a bright blue sky have been the norm and we’re certainly holding up our end of the claim that we average more than 300 days of sun a year. I’m not saying we’re rocking goggle tans, but I’m not saying we aren’t. This Friday, Dec. 1, we’ll be expanding terrain to our Mountain House base area. This will provide beginner-friendly top-to-bottom skiing and snowboarding terrain. We also will open the Peru Express chairlift in the Mountain House base area. We will then have top-to-bottom access to both base areas, River Run and Mountain House. 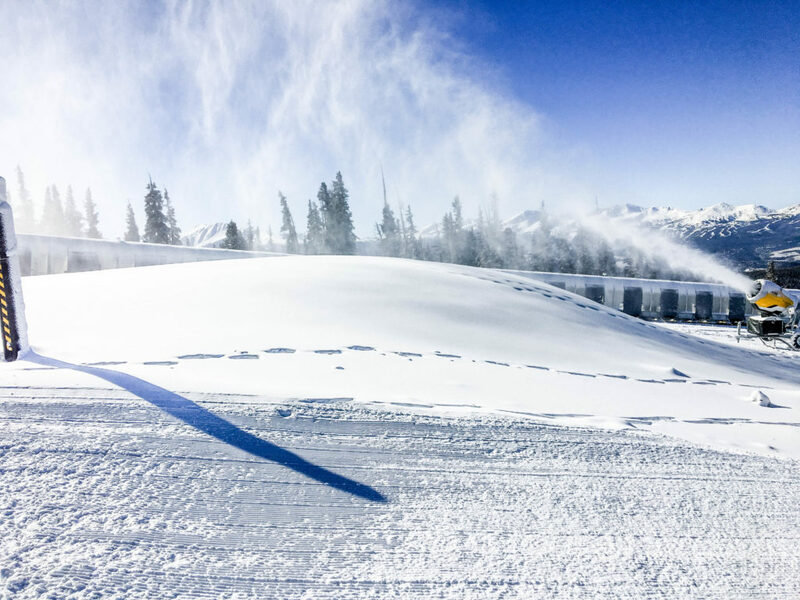 Our early season A51 Terrain Park, with more than 10 features, is open and can be found at the top of Schoolmarm. Dec. 1-2: 9 a.m. to 8 p.m.
Dec. 3-7. 30: 9 a.m. to 4 p.m.
Be sure to check KeystoneResort.com, the Keystone Blog, and to follow us on social media (Facebook, Twitter, Instagram) for the latest terrain information and updates. We’ve experienced colder temperatures lately and our hard-working mountain operations teams have capitalized. This Wednesday, we will have more than 2,300 vertical feet of skiing and snowboarding available with advanced skiing and snowboarding access to the River Run base area. We will be adding both beginner and advanced terrain. Keystone will continue to open at 9 a.m. through mid-December, with night skiing operations beginning this Wednesday. What’s next you ask? Our snowmaking team continues to work around-the-clock and temperatures look favorable for snowmaking. Don’t forget, in addition to the great skiing and snowboarding conditions out there right now, we have a ton of fun activities and dining available. Be sure to check them out! Signature dining options and activities at Keystone continue to open for the season. Free daily Kidtopia activities, ice skating and Winter and Dinner Sleigh Rides are currently available, with mountaintop snow tubing and the Alpenglow Stube, Der Fondue Chessel, Ski Tip Lodge and Keystone Ranch restaurants opening Wednesday. Please be reminded that limited terrain and early season conditions exist. Keystone Resort and Breckenridge Ski Resort require all skiers and riders to observe all posted signs and warnings. Closed trails may contain hazards due to limited natural snow coverage and snowmaking operations. For the safety of all guests, please keep off closed trails and out of closed areas. Uphill access at both Keystone and Breckenridge is currently not permitted due to early season mountain preparations and snowmaking. Once early season operations are complete and the resort has adequate terrain to safely permit these activities, the resort will open for uphill access to guests. Thanks to the efforts of our mountain operations team, we’ll be adding more terrain for you to play on this Saturday. We’ll be adding intermediate access via Spring Dipper which will be open to the new six-passenger Montezuma Express chairlift and the River Run Gondola mid-station. We will also open the beginner trail Scout and the Ranger chairlift. This is in addition to the current available beginner terrain on Schoolmarm and Silver Spoon. 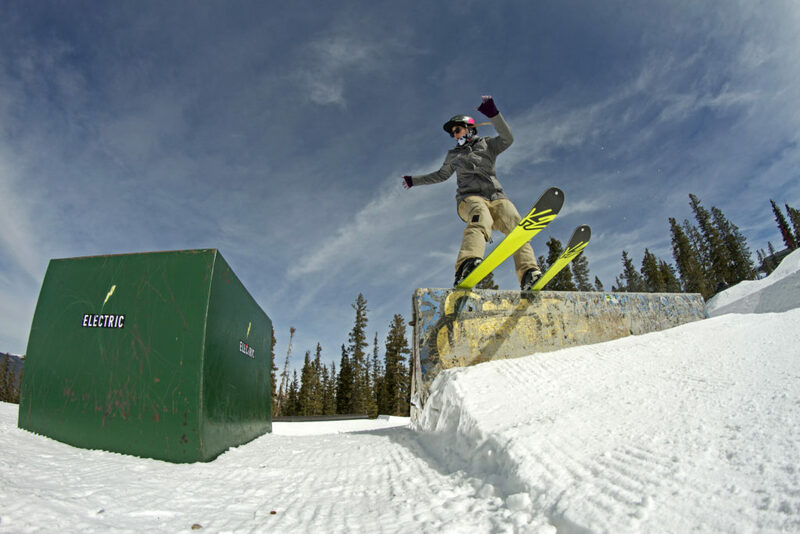 Keystone’s early season A51 terrain park is open and includes more than 10 features, and can be found at the top of Schoolmarm. 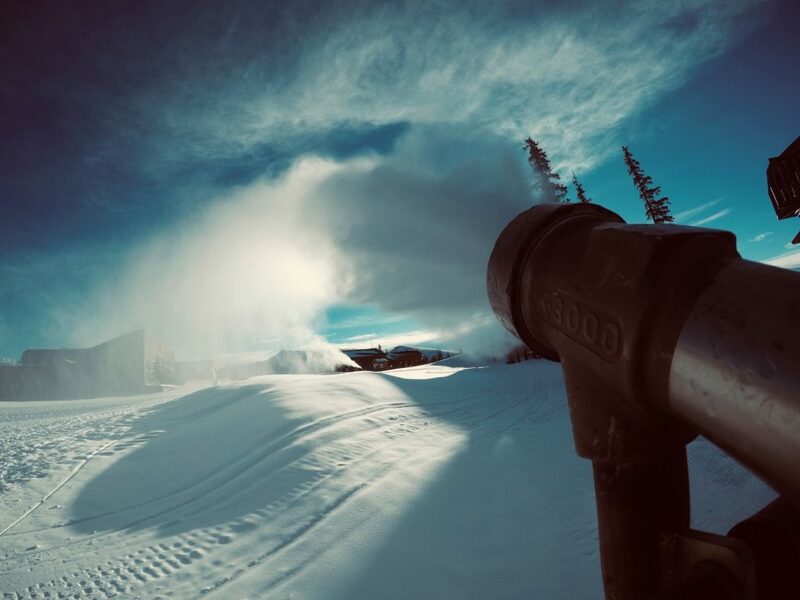 Snowmaking operations will continue at every opportunity that weather permits. We know you’re eager for expanded terrain, and so are we. Rest assured, we’ll always share the love just as soon as we have updates to provide. Skiing and riding access will continue to be from the top of Dercum Mountain to the bottom of Montezuma Express, and guests can download the River Run Gondola when they are done skiing and riding for the day. Please be reminded that limited terrain and early season conditions exist. Play nice out there, and observe all posted signs and warnings. Closed trails may contain hazards due to limited natural snow coverage and snowmaking operations. For the safety of all guests, please keep off closed trails and out of closed areas. Don’t forget to check out our #BackToSnow contest and enter to win some great prizes!